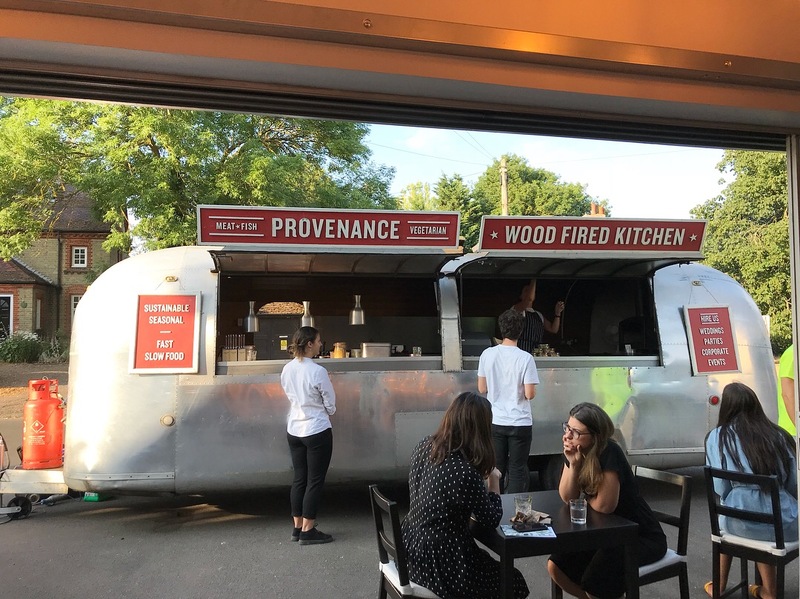 A Provenance dinner at The Cambridge Distillery Showroom is an experience between street food and a proper restaurant. 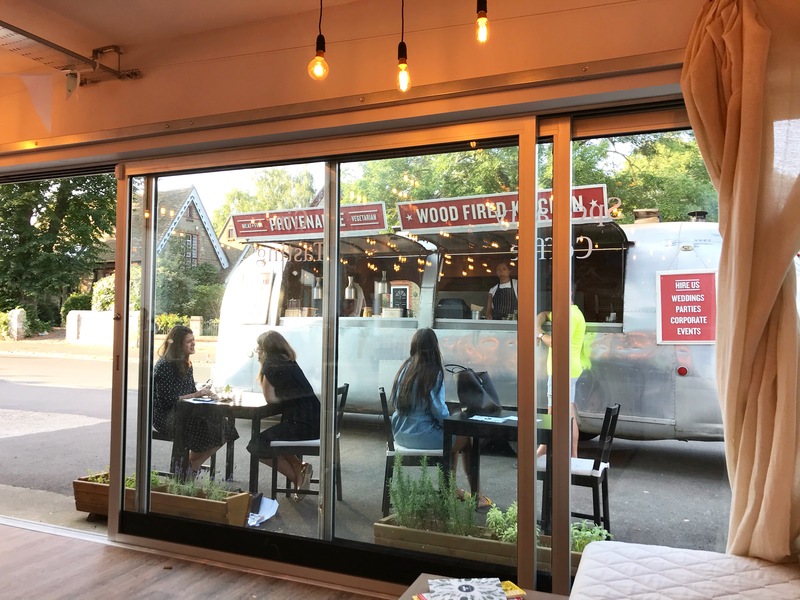 After being seated at a reserved table and perusing the menu, food orders are placed and paid at the trailer hatch but there is also table service. 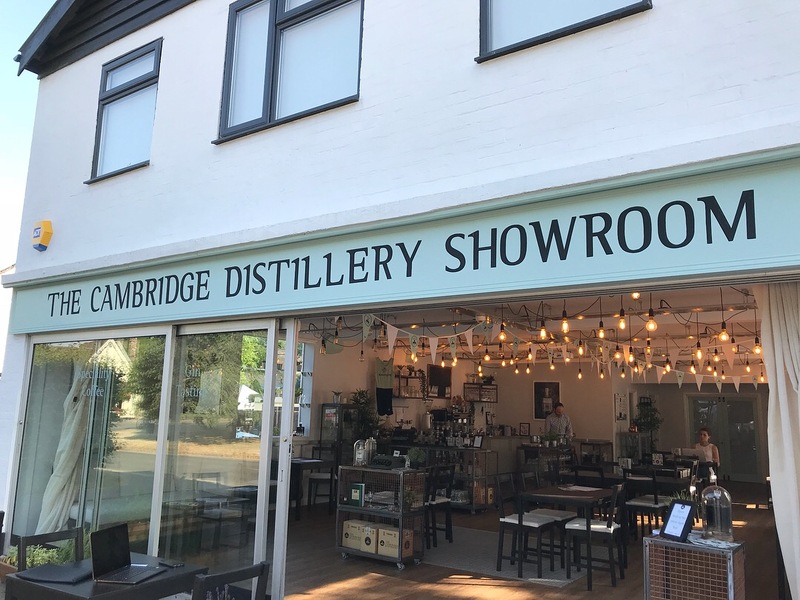 Drinks are ordered and billed separately through The Cambridge Distillery Showroom. Provenance staff bring dishes to the tables. Food is served in good quality paper plates and proper cutlery is provided. The system works and we thoroughly enjoyed our food and drink. Provenance’s menu was small but varied, featuring some bar snacks (marinated olives and togarashi peanuts, perfect nibbles with drinks), three starters (meat, fish and vegetarian), four mains (steak, pork, fish and vegetarian) and two desserts. 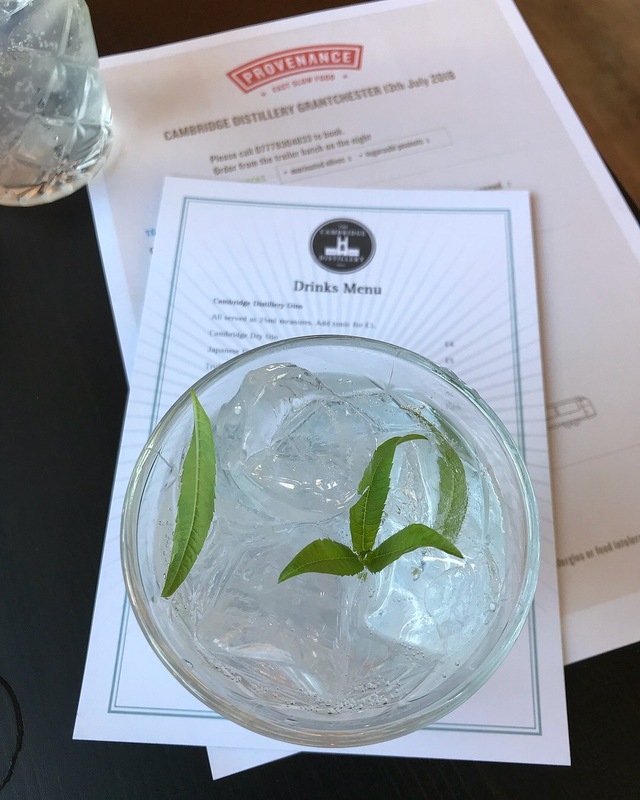 The Distillery’s drinks menu featured their own gin (of course), wine and cocktails. Although we had choice, Paulo and I ordered the same starter and main course. The Cornish squid in our starter was fresh and mouth-meltingly tender. 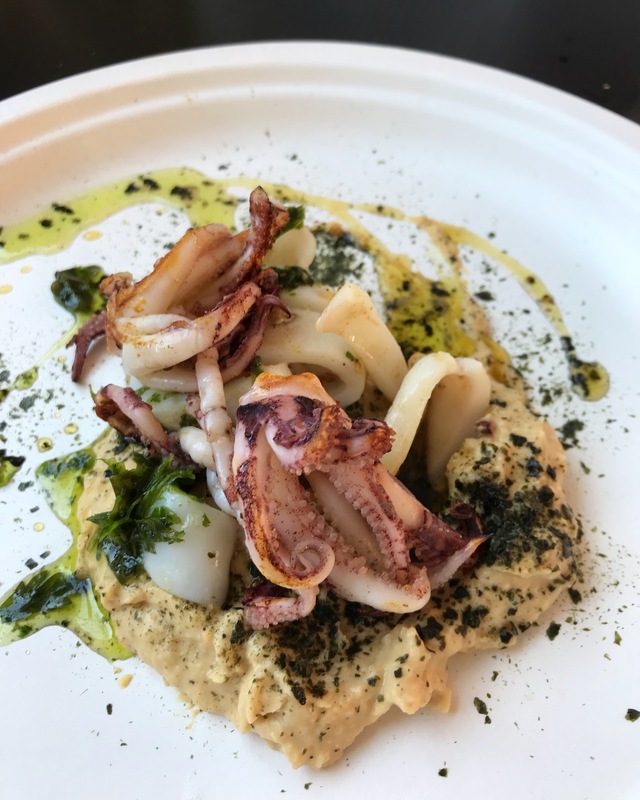 Expertly grilled “a la plancha” and complemented by a feast of Spanish flavours from pimentón, sherry vinegar, ajo (garlic) and toasted seaweed, the squid sat on a bed of delicious miso hummus. We both agreed we needed to have this dish in our lives again! 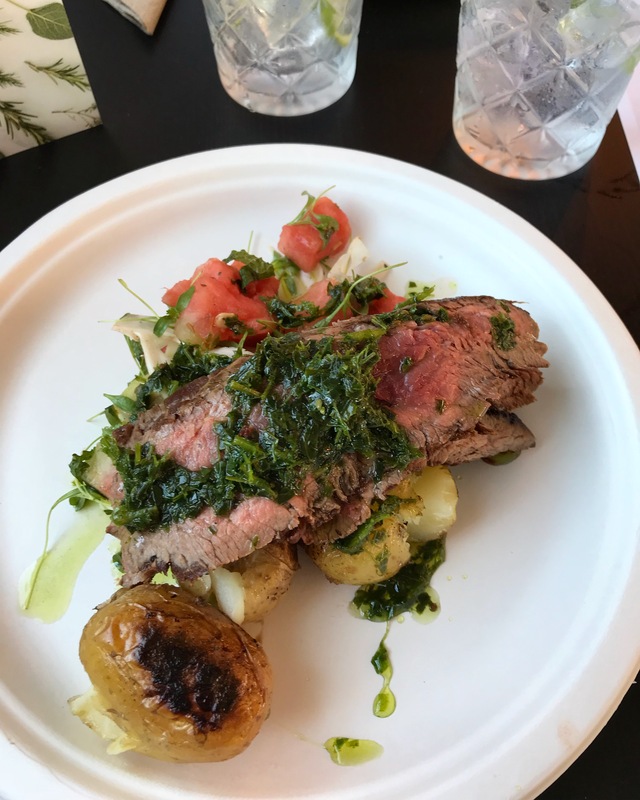 Our main course featured top quality flank steak, dry aged for maximum flavour and tenderness. 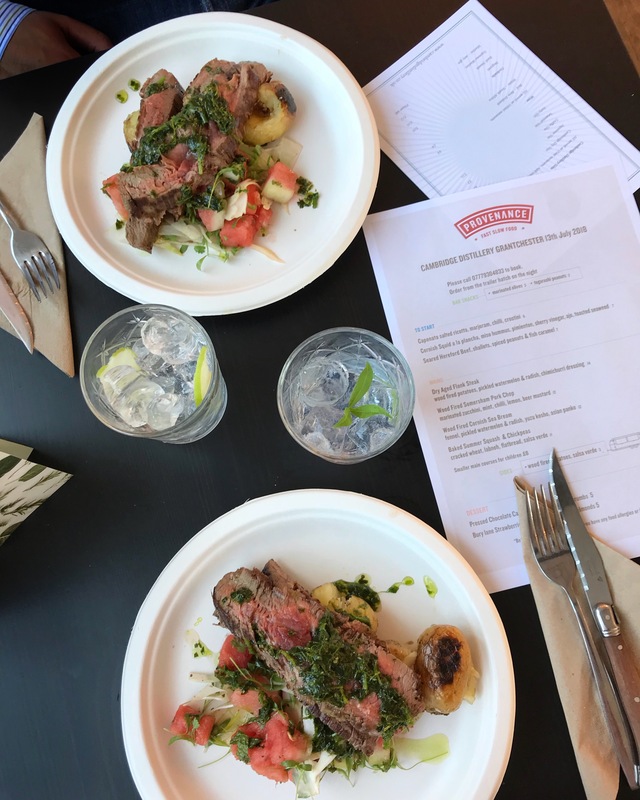 The steak – thinly sliced against the grain, as it should be – was served with pickled watermelon that added some freshness and bite. Comforting wood fired potatoes and the fresh, bold flavours of the chimichurri dressing complemented the whole dish. Both desserts were delightful. 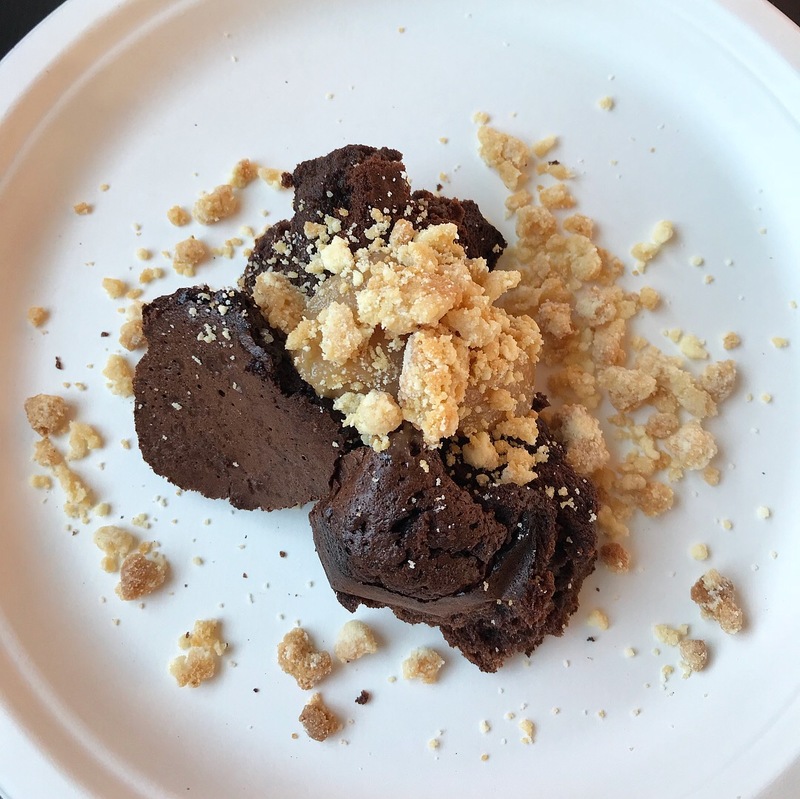 The pressed chocolate cake with salted caramel wasn’t overly sweet and the milk crumbs added a tasty texture. 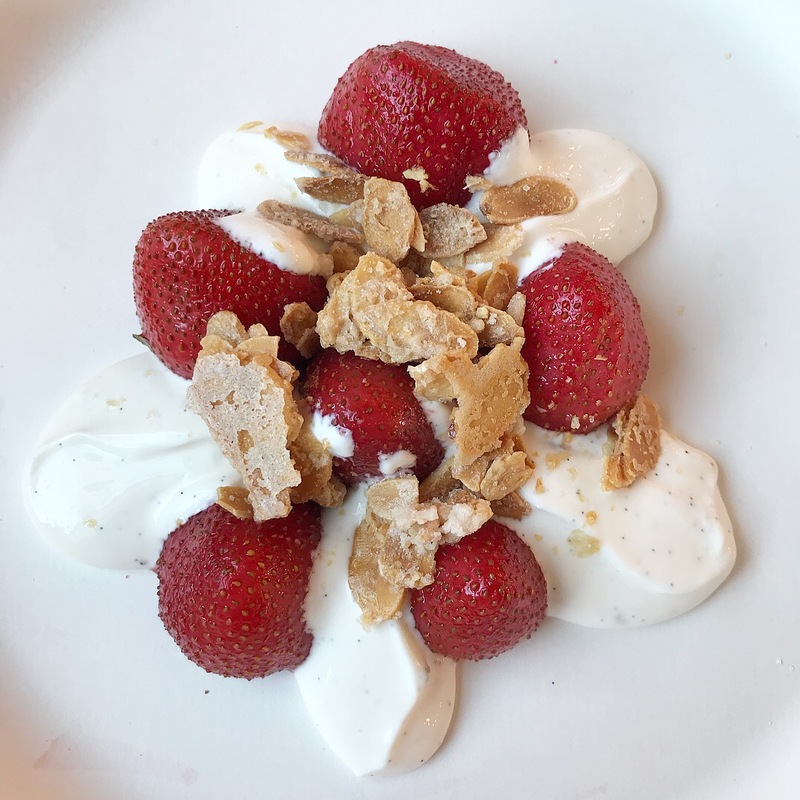 Local strawberries, sourced from Bury Lane Farm just outside Cambridge, were served with vanilla yogurt and topped with candied almonds. A great idea to offer something sweet as an alternative to cake. Of course we had both! 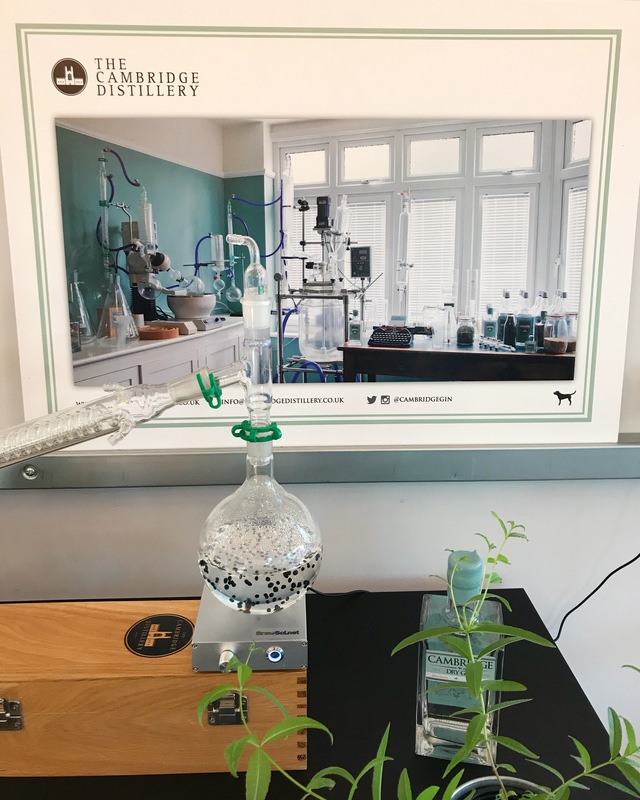 Provenance’s next appearance at The Cambridge Distillery Showroom is on 10 August 2018, then every second Friday of the month after that. Check out their website or social media (Facebook, Twitter and Instagram) for the latest menu and reservation info. 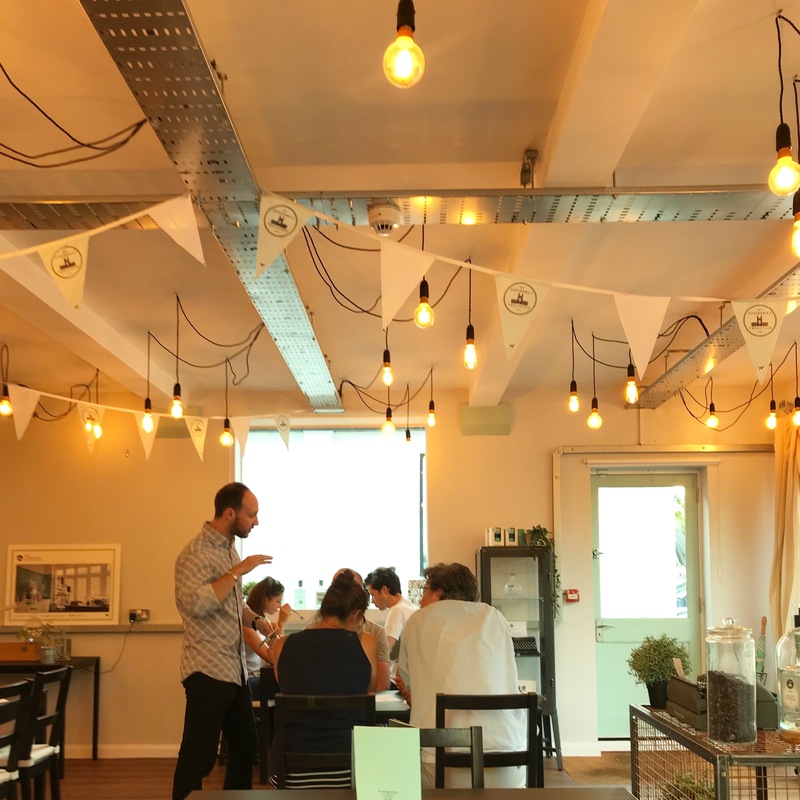 It’s a fantastic opportunity to enjoy seasonal dishes expertly prepared with fresh, high quality produce in the original setting that is The Cambridge Distillery Showroom in beautiful Grantchester. 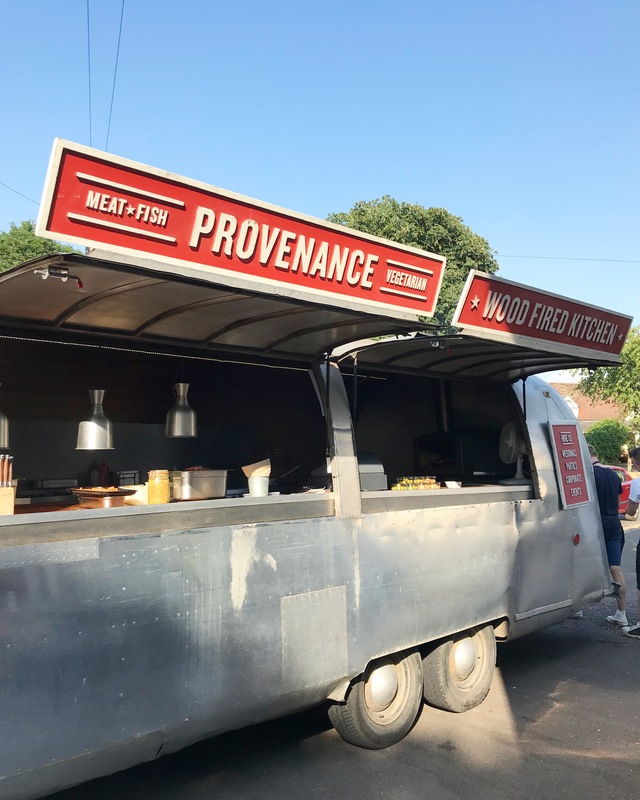 I was invited by Provenance for a complimentary dinner. 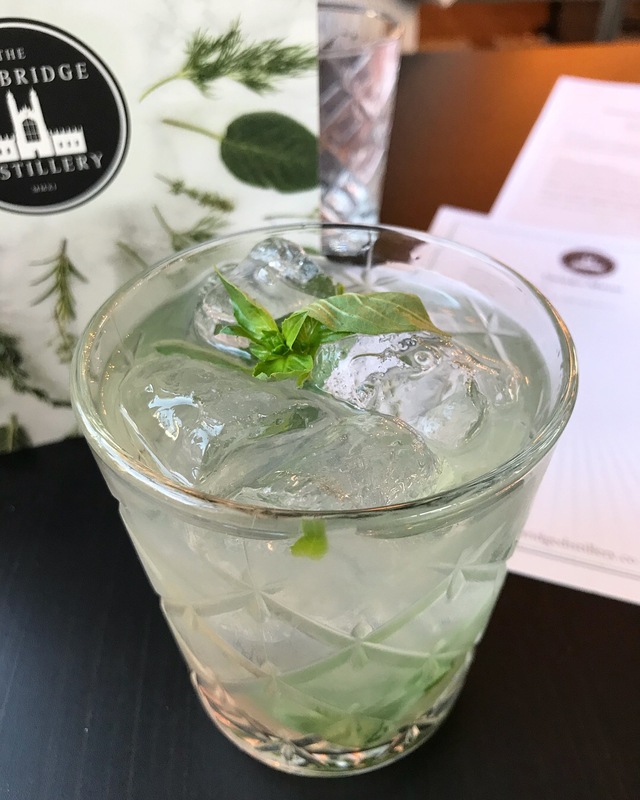 Drinks at The Cambridge Distillery Showroom were at my own cost. I did not receive compensation for my review. All views are my own. Unless otherwise noted, I am the legal copyright holder of the content and images of this blog. Please contact me for permission if you wish to use, reprint or publish any material. 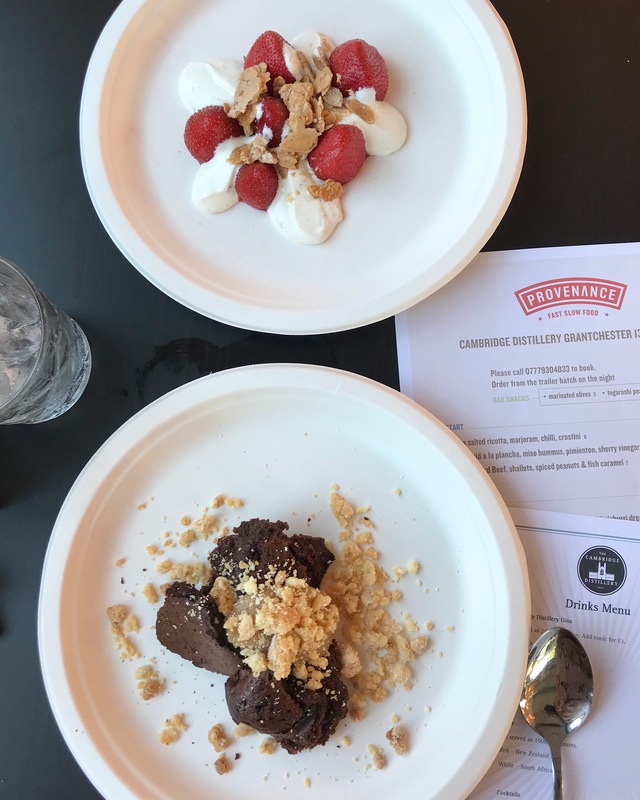 This entry was posted in Restaurants and tagged Bury Lane strawberries, Cambridge, Cambridge Gin, Cambridgeshire, Cornish squid, flank steak, Grantchester, miso hummus, pickled strawberries, pressed chocolate cake, Provenance, Provenance Kitchen, The Cambridge Distillery Showroom by One Two Culinary Stew. Bookmark the permalink. 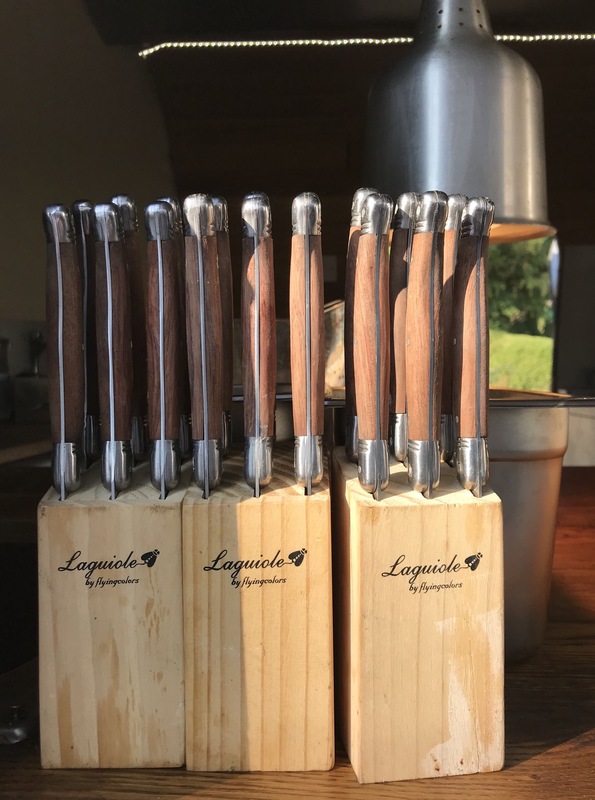 Provenance catered for my son’s wedding on Saturday. 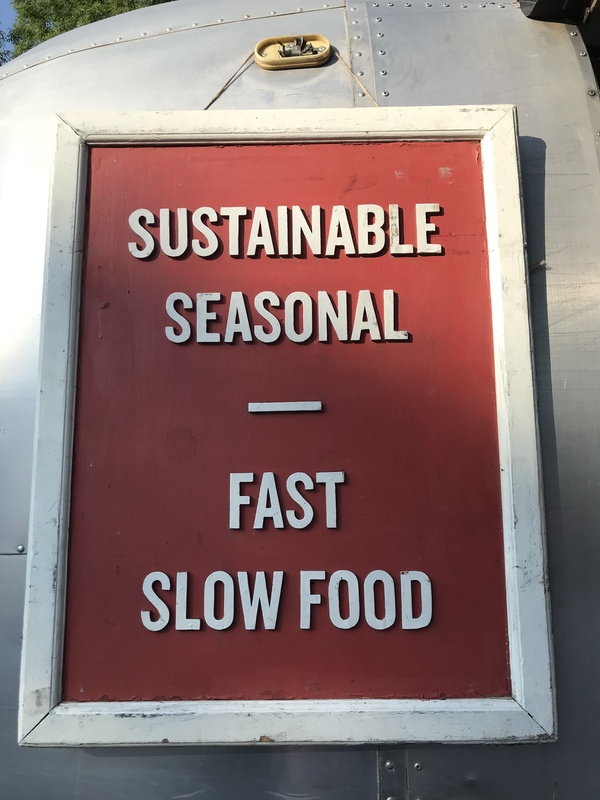 Excellent food as always. They also pop up once a month at the Edward VII in Guilden Morden which we look forward to each first Wednesday. Ah they did mention they were catering a wedding the next day. Sounds fab! 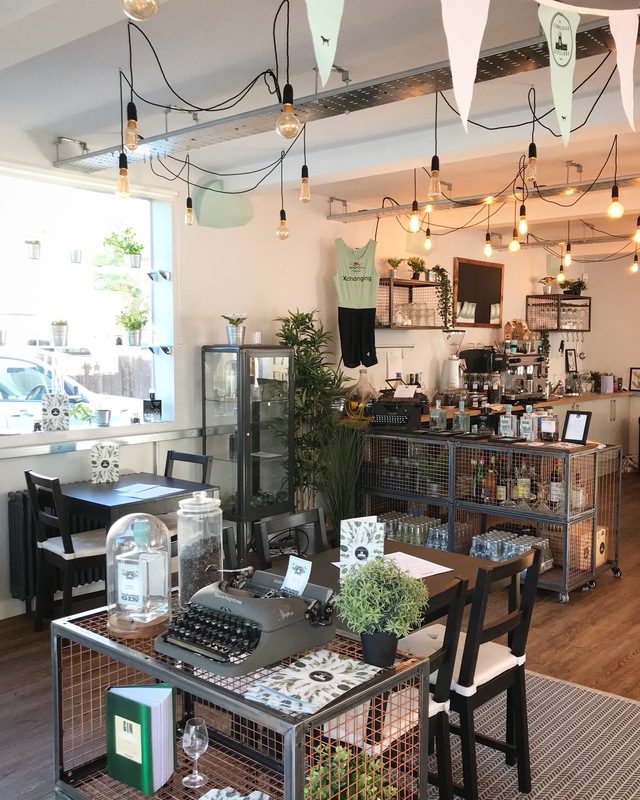 The Cambridge Distillery Showroom is such a lovely venue for a pop up and their gin goes so well with Provenance’s menu.